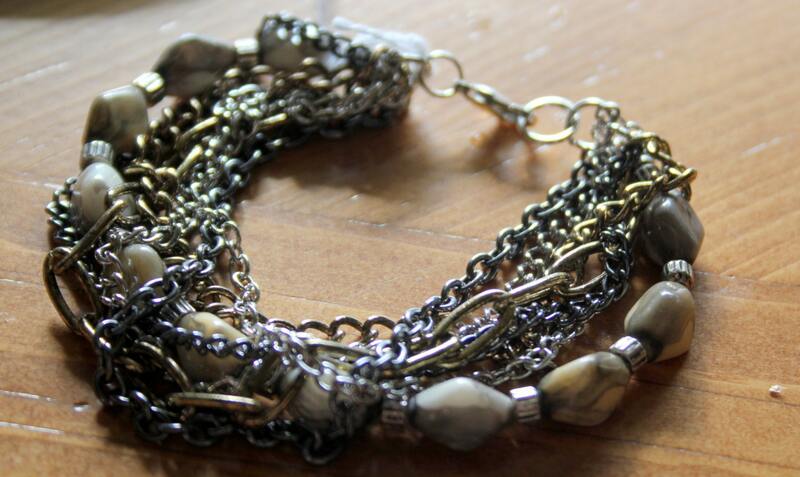 This multi-chain bracelet is made with six different metal chains including brass, black and silver. There is an accent strand made with kernel shaped agate beads in shades of tan, gray and buff. The agates are separated by silver coin-edged beads. The bracelet has a lobster claw clasp and fits a 7 1/2 inch wrist with two adjustable rings for slightly larger fit. It looks good with jeans or with a dressier look.